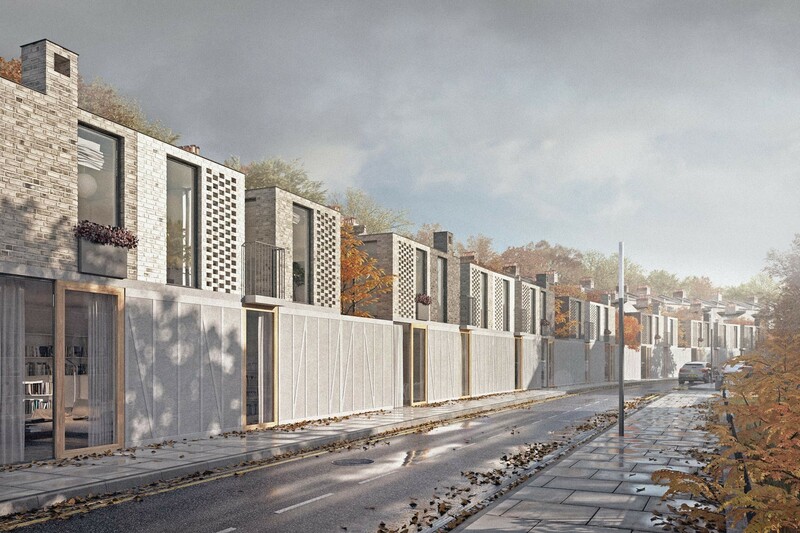 Hackney Terrace is a proposal for the Peabody Trust, with a series dwellings in East London conceived as a ‘miniature terrace’. 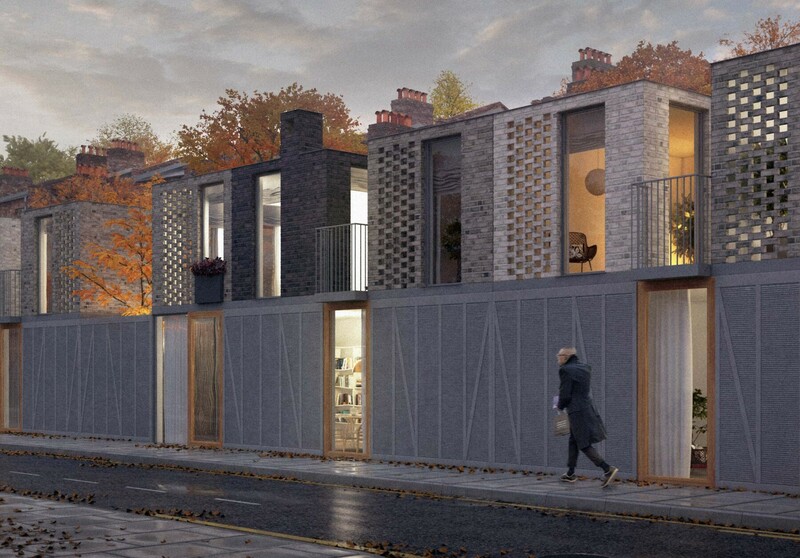 The site is a narrow strip of land behind a Victorian terrace, currently occupied by garages. 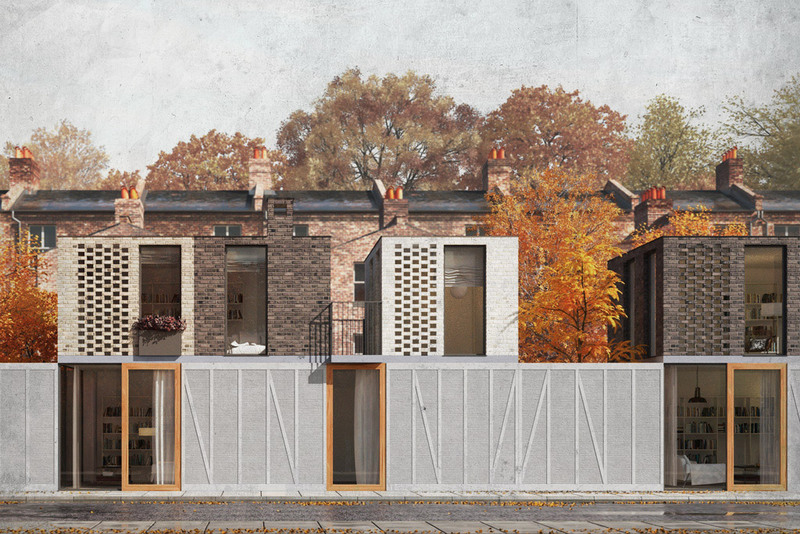 The front elevation of each proposed house is split into three sections, each corresponding to the proportions of a typical period terraced property, yet at a reduced scale. 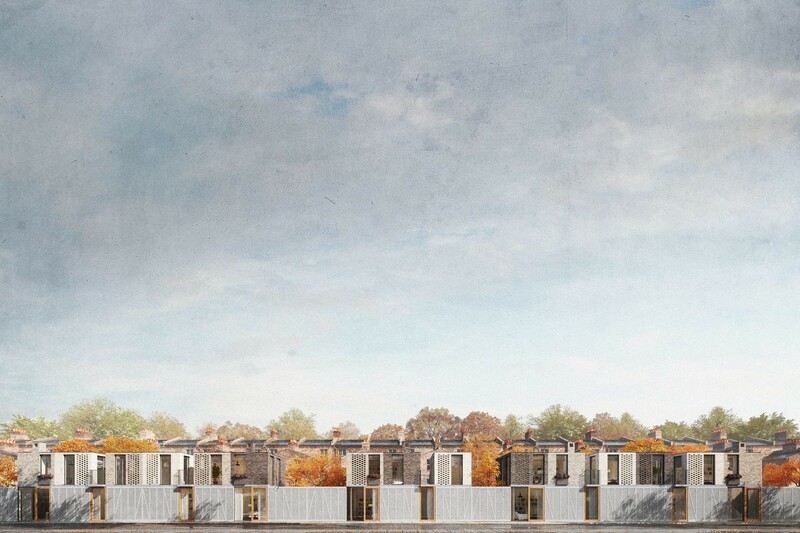 The brick facade of each section is treated with a varying degree of soot wash, further reinforcing the division and suggesting the idea of each house as a terrace in miniature. A lighter timber finish at ground floor creates a continuous horizontal treatment, drawing inspiration from the continuous rusticated stucco commonly found to the ground floor of a 19th century London terrace.